To order the booklet, click “Donate” below, then enter in your gift amount under the “Supernatural or Just Remarkable” tab. · Contact us for larger orders at promises.israel@gmail.com. 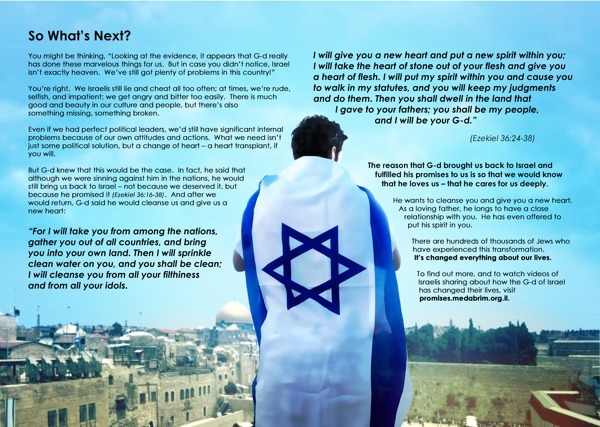 The Goal: So the goal of the booklet is to give them a fresh introduction to the God of Israel – to demonstrate how He is a sovereign God who is involved in human history, is faithful to His pEromises, and cares deeply about His people. It also shows that the Scriptures aren’t mere stories, but the inspired Word of God. I was given a copy of this booklet and it has made a dramatic impact on my life.